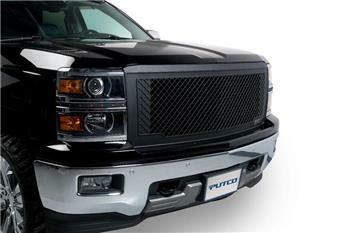 Putco Boss Grilles - Dezod Motorsports Inc - Home of the automotive performance enthusiast since 2002. Made of ¼” CNC Machined Aluminum. Black Powder-coated finish to create the hot, “black-out” look. Cut-to-Fit design to give your truck a true makeover. Make your truck “The Boss”!! !